Potato salad is one of my sons favorite things. Well, right behind homemade ketchup. 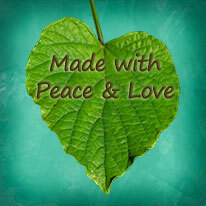 I haven’t made it in a while because I am trying to find a really good recipe for homemade organic mayonnaise. Alex was begging me for potato salad and I couldn’t say no. Since I have not mastered homemade mayo I had to use the store-bought version today (shame on me, I know) so here it goes…..
What you do: Place potatoes in a large pot and cover with water bring to a boil and cook until tender but still firm, about 15 minutes. Place eggs in a saucepan and cover with water. Bring just to a boil, remove from heat and cover for 15 minutes. 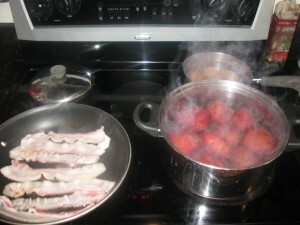 Cook you bacon in a skillet until very crisp. I do all of this at the same time…. Place your potatoes and eggs in the fridge to cool. 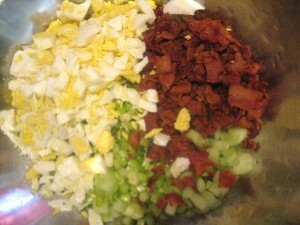 While your potatoes and eggs are cooling chop your celery and green onions, place in a big bowl. Crumble your bacon into the same bowl. Once your eggs are cool chop them and add to the bowl. Chop your potatos and add to the bowl. Add your mayonnaise and start to mix. My bowl is always very full and this can be messy! You can add more or less mayonnaise depending on your preference. Add sea salt and pepper to taste. Chill for at least an hour. You can chill now too…making potato salad is a lot of work! 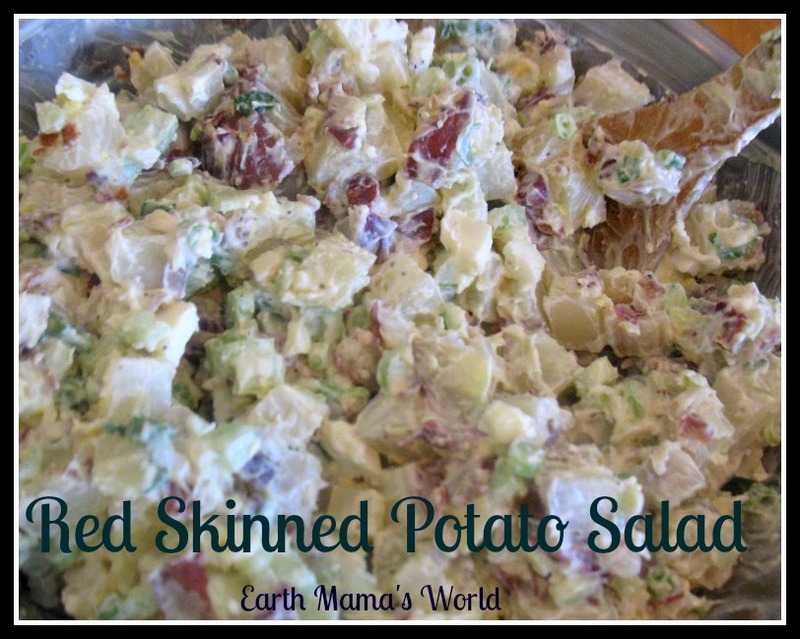 This recipe makes a ton so if I am not making this for a large party I typically plan to serve the potato salad for one or two dinners and lunches throughout the week. 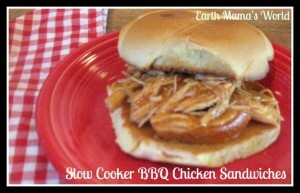 It goes great with Slow Cooker BBQ Sandwiches. 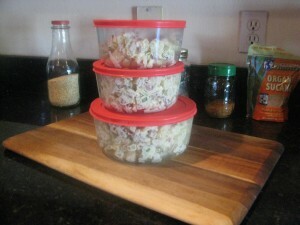 AND if you have a recipe for homemade mayo and would like to share I would love love love it!